Market capitalization measures a company’s worth on the open market. Market cap also measures a markets insight into future projections of the company. The reason for this is because it reveals the amount that investors are prepared to pay for a company’s stock. When developing an investment strategy, we have to make sure that we understand all of the aspects of one’s investment. These are meant to assist you in tracking long-term financial goals, there are things you must understand. You need to know very well the connection between the size of the company, the risks involved and return potential. With a good grasp of these elements, you will be well equipped to develop a balanced stock portfolio with a mixture of market caps. The overall value of all the shares of stock of a company is what is known as market capitalization. Market capitalization also describes a stock exchange’s overall value. It is calculated from the multiplication of the stock price and the total number of shares outstanding. For example, if a company had 20 million shares selling them at $50 each it would be having a market capitalization of $1 billion. What this means is that someone could buy the company for $1 billion if they wanted to and if it was for sale. What makes market capitalization such a vital concept? It gives investors the opportunity to appreciate the comparable size of one company against another. Companies with a significant market capital are usually those that have a market value of $10 billion and more. The main factors of a large market capital company are typically reputable quality goods and services, stable growth and reliable dividend payments. Overall large market capitalization companies are usually leading amongst established industries, and often have an internationally recognized brand name. Due to these factors investing in large- capital stocks is considerably more conservative compared to investing in small or medium capital stock. This could have less risk for a less aggressive growth potential in return. Medium capital companies are those that have a market value from $2 billion to $10 billion. Usually, these are companies that are established in different industries that are experiencing growth or are expecting to grow. In most case, these companies are undergoing market share increment and improving competitiveness completely. At this phase of the growth process, you can probably tell whether the company will at some point reach its full potential. 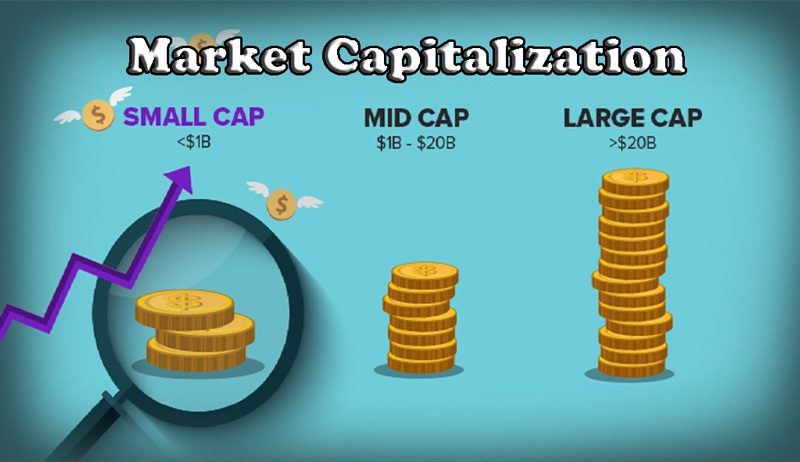 In the field of risk-return, the mid-cap stocks are between the large caps and small caps. Companies with a medium market capital may have more growth potential in comparison to large caps and have less risk compared to small-caps. The small-cap organization is the ones that usually have a market value of from $2billion to $300 million. Typically these companies are quite young and cater for niche markets as well as emerging industries. Small-caps are the riskiest out of all three market capitalization categories. Small-cap companies have a limitation of resources which can possibly leave them more vulnerable to an economic or business recession. They may also be susceptible to intense competition, uncertainties because of untested growing markets. Nevertheless, small-cap stocks can come with serious growth potential for long-term investors who can handle short-term stock price volatility. First of all market capitalization is mainly based on the overall value of the shares of stock of the company entirely. Float refers to the outstanding shares available for trading by the public. 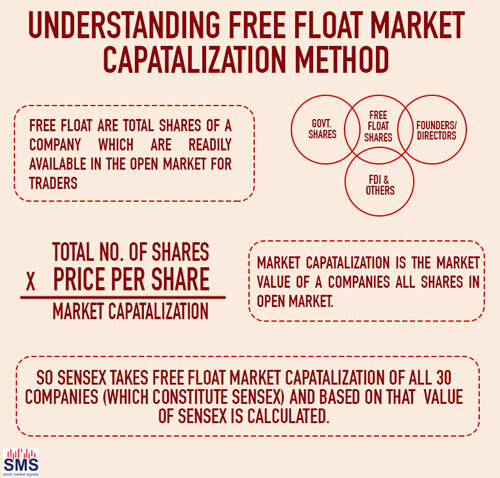 Calculating market capital using the free-float method eliminates locked in shares, like the ones with governments and company executives. There are a couple of factors that affect a company’s market capitalization. These include massive changes in the share value as well as variations in the number of issued shares. Implementations of warrants on a company’s stock will escalate the outstanding shares number, thus weakening its current value. Given that the warrants are usually exercised below the share’s market price, it may affect the market capital. Dividends and stock splits do not usually affect market capitalization. When there is a stock split the price decreases because the number of outstanding shares has gone up. let’s Take for example, in a two for one split; the share price is divided. Even though the outstanding shares, as well as the stock price shifts, the market capitalization of a company, can remain constant. This also applies to dividends. When a company gives out dividends thereby increasing shares held, its price will typically drop. To build a portfolio with a compelling mix of large-cap stocks, mid-cap stocks and small-cap stocks a few things must be considered. You will need to consider evaluating your risk tolerance, your financial targets and your time horizon. Having a portfolio that is diverse with a range of market caps may result in reduced risk of investment. It will also ultimately aid in achieving your long-term financial goals. Always remember that market capitalization is a replication of the amount we would have to pay to own part of a company. However, this amount is not the actual value of the company. If you make market capitalization the deciding factor on whether to invest or not, you will be letting the business’s market price dictate what the worth of the company, rather than using all the information available to investors.